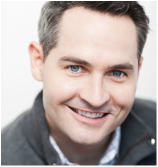 In 2007, Pat McGann transitioned from packaging salesmen to stand up comedian. Soon after taking the stage Pat was booked to be House MC at the historic Zanies Comedy Club. Pat created and hosted the Emmy nominated television show “The Chicago Stand Up Project”.He performed and presented at the Chicago/Midwest Emmy Awards and wrote and directed a comedy show Wild Pitches. Pat appears regularly on Sports Talk Live (Comcast), Windy City Live (ABC), Mancow & Good Day Chicago (Fox), WGN Morning News, WGN-Radio & ESPN Radio. ​See the full sponsor list here.